The brand new gameplay footage above comes from Japan, in Japanese and features seven minutes of gameplay for the upcoming Animal Crossing: Jump Out. Even if you don’t have a grasp on the Japanese language, those with knowledge of the series will almost immediately recognize the brand new features the trailer glosses over. Players will be able to enjoy the town with new little things like swimming, looking at the stars, serving as mayor, rolling snow balls, dressing as Santa and buying shoes. There’s a small shopping district with stores both old and new, and players will be able to decorate their towns with proper objects like benches and light posts during their stints as mayor. 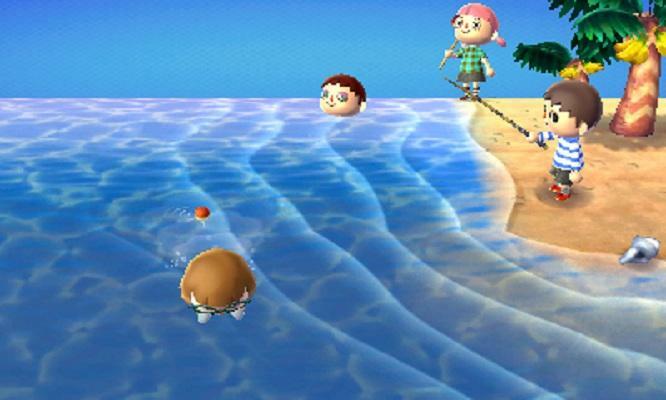 It’s the little things that matter in the Animal Crossing franchise. The game, quite honestly, arrives without much of a point beyond relaxation, collection and enjoying virtual life. That’s why fans of the series see small mechanics like swimming and diving for treasure and become instantly excited. 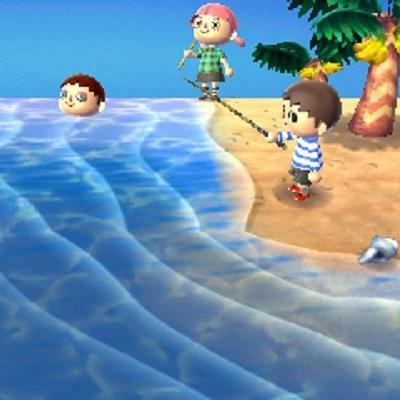 The good news for the future is that it looks like there’s much more in the way of little things to do in Animal Crossing: Jump Out for the Nintendo 3DS, and that’s why fans are looking forward to the game so much. I know I’ve mentioned this before, but the official name for Animal Crossing 3DS, as the headline above indicates, is Animal Crossing: Jump Out. It reads like a really lame 3D pun; for that reason, I’m not a fan of the title. I am, however, really excited for the game. Animal Crossing: Jump Out is slated to launch for the Nintendo 3DS in North America sometime during the first half of 2013. Japan will see the game on November 8th of this year. Before you think about importing a copy in for play, remember that Nintendo 3DS systems are region locked. You’ll need a Japanese 3DS to play Japanese games.